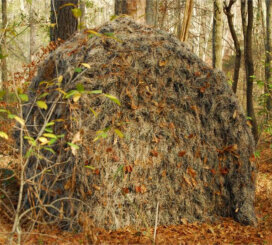 The sniper ghillie suit is specially designed to deal with the rigors of sniper tactics. The special features on the sniper suits will really make a difference during a stalk. What features to look for. 1. 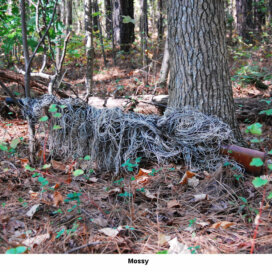 Heavy duty sniper ghillie suits are usually built on a pair of bdu’s(battle dress uniforms)or similar material. 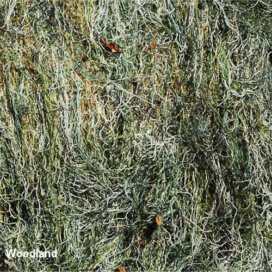 This eliminates the need for netting, so the jute or burlap can be sewn directly on, giving you even distribution of the camouflage material. For paintball and airsoft this heavy suit is not necessary. 2. As in the light duty sniper ghillie suit, the front can be left bare. This way, you wont get snagged by vegetation on those long sniper crawls. 3. Crawling will also cause the sleeve of a suit to pull up over your arms, this can be prevented with thumb loops that keep the sleeves where they should be; protecting your arms! 4. The hood can simply be a netting with jute or burlap tied on and then sewn to the jacket, as shown in the military style sniper ghillie suit. This design will keep you cooler by allowing the wind to pass through, and will also allow for better hearing. 5. Last point. Using velcro instead of buttons to close the jacket will make your crawl much more comfortable.